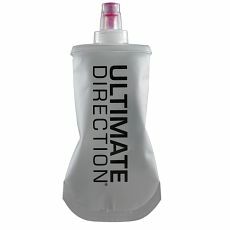 Ultimate Directions Body Bottle is a super comfortable, soft flask - it's not rigid like traditional flasks so it moulds easily to your body and is also collapsible as you go - to help reduce sloshing, bouncing, and rubbing. It's is manufactured for UD by Hydrapak, manufacturers and suppliers to some of the worlds biggest hydration brands. 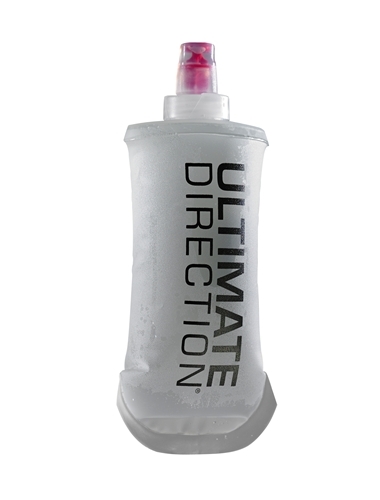 You can fill the UD softflask with water, sports drinks, or even energy gels - as you consume the gels or liquids you can squash and roll it down as you run. 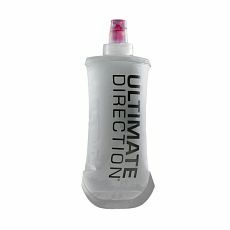 Ultimate Directions Body Bottle is a super comfortable, soft flask – it’s not rigid like traditional flasks so it moulds easily to your body and is also collapsible as you go – to help reduce sloshing, bouncing, and rubbing. It’s is manufactured for UD by Hydrapak, manufacturers and suppliers to some of the worlds biggest hydration brands. 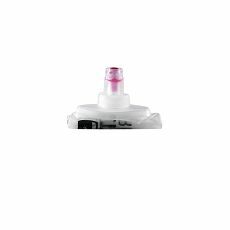 You can fill the UD softflask with water, sports drinks, or even energy gels – as you consume the gels or liquids you can squash and roll it down as you run. 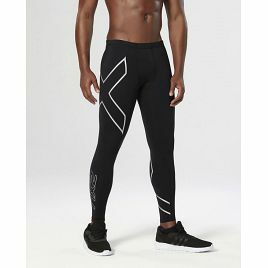 Fits any Ultimate Direction Vest or Vesta.